Do you want to create a presentation for lasting effects? Do you want your target consumers to take necessary actions just based on your presentation? Read and find out tips for an excellent presentation. Get to know also, why in today’s high tech world presentation is an essential tool for business. A presentation is one of the many ways of reaching to your target audience. Nowadays it has become a crucial part of everyday business operations. But creating a presentation is no easy task. In this fast track life, nobody has enough time to spend on anything that is uninteresting and doesn’t serve their purpose. 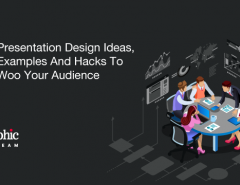 So, as a marketing professional, you should look for ways to create a presentation that is engaging and effortlessly captures your audience’s attention. 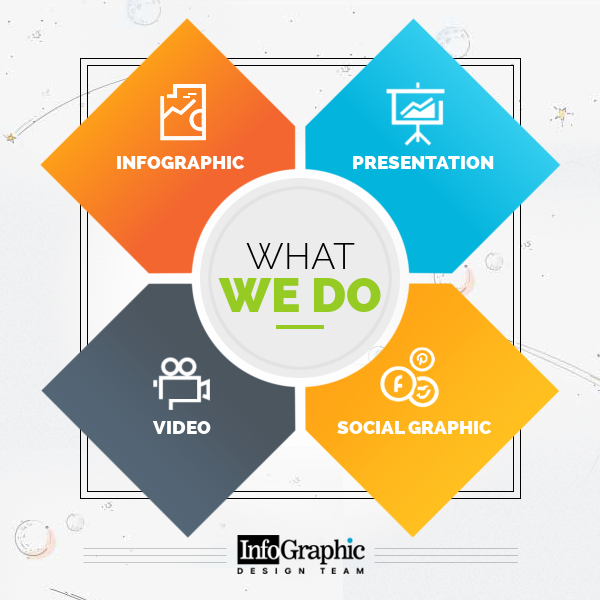 Presentations are visual displays that combine several graphical images and stylish texts. To make it attractive and visually appealing, you need to use each element imaginatively. Choosing the right presentation tools like Powerpoint Online or Google Slides will enable you to produce creative powerpoint presentations. If you want to make a PowerPoint presentation enticing? you can check out the elements and strategies used in the award-winning PowerPoint presentations. When you create a presentation, you need to understand what you would deliver? How would you like to inform your target client about your product and services? Here we have compiled unique powerpoint presentation ideas only for you. Presentations can be of three types- analytical, informative and persuasive. All your design principles would depend on the type you choose. Every presentation should have an exciting story to tell. Weave your thoughts with the format, and design each element. As you create a presentation, it’s necessary to understand audience’s psychology for presenting the best content. The audience is key to success in every business. You organize a presentation session to inform your target audience about your product and services. Hence, during a presentation, your primary focus should be on your audience. Delivering a slideshow is an easy task, but satisfying your target clients is tough. 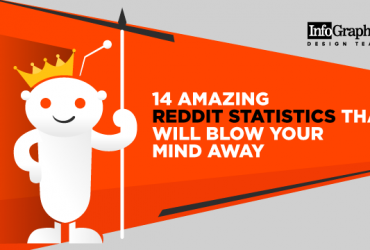 How to put your audience first? Don’t make your presentation only a long list of products and services. Engage your audience with your performance. Make it an interactive and exciting session- e.g. before delving into the product’s features, ask your audience what kind of features would they expect from the particular product. Your primary focus of creating a presentation is to inform people worldwide about your brand. How do you do this? Share a presentation online, bring more and more people to your company and brand through proper presentation distributing platforms. Needless to say, before incorporating social media into your presentation, first its essential to identify the channels where your audience is present. You can share the URL through email. Use the social media SlideShare Share buttons. Embed the SlideShare on your site or blog too. When you share your slides online, you need to incorporate clickable links so that clients can get more information on your company and brand. These links are helpful to direct the audience to your company’s website as well as to other additional resources which are vital for their use. Presentations become useful when you include a link in the ‘ call to action’ button. However, it’s essential to understand that links don’t work in the first three slides of a SlideShare presentation. Before uploading a presentation to SlideShare, use presentation authoring software to create links. This way all links will work correctly in SlideShare. Presentations become effective when you include ‘Call to Action’ in it. A ‘call to action’ approach directs your audience to further action. Guiding your audience to the next step is important because without proper advice your audience might not respond to your efforts in the way you expect them to. 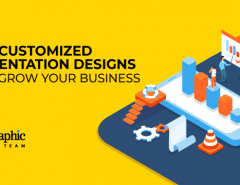 Design is another vital criterion for a successful and productive presentation for business communication. Undoubtedly we all work to make it visually appealing. However, you must find out what are recent design trends today. What colors have more effect on your prospective clients? You are aware that a poorly designed presentation would reflect a gruesome image of your company. Slide ratio is essential for both online/offline presentations. Mainly three aspect ratios are considered to be perfect for creating a compelling slide story- 4:3, 16:9 and A4 Print Ready. However many users are of the view that the 4:3 slide ratio is essential nowadays. A presentation is primarily for grabbing the attention of the target clients and informing them about your company brand in an engaging way. Do you know the use of colors plays a huge role in capturing the attention of your audience? According to psychology, there are a few particular colors that have a dramatic impact on the audience. Regarding the uses of useful colors, a stunning example is cited in the blog ‘Color Psychology – What Colors Make Great’ by Noah Zandan. He explains that colors like red, blue, green and purple can influence the potential clients’ buying decision and further move him up to the purchase funnel. Presentation is a beautiful concoction of your public speaking skills and efficiently designed slides with readable fonts and impressive colors. Hence, when you create a presentation, you need to choose a font that can interest your client. Research has proofs that San serif font styles like Helvetica, Verdana or Calibri are more preferred by an audience. These fonts are also easily readable online. The best way to make a presentation is to create it for both online and offline audience. For creating a web-friendly design, keep the composition elements simple. Create SlideShare designs only with one or two main elements per slide. Envato Elements is an excellent source where you can find essential quality graphic elements. Images are a crucial part of your presentation. Hence you need to focus on using high quality images. Plan and incorporate visual content into your presentation with high-resolution photos. Besides every other element, crisp and clear displayed images are out to capture your clients’ attention and compel them to take an interest in your product. If you incorporate multimedia, a visual presentation tools for your presentation, it becomes quite engaging and entertaining. 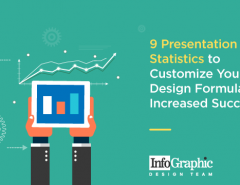 According to surveys, the audience often prefers presentations that have some element of multimedia in it. This feature helps people to understand the theories that you explain. It is said that any online marketers have only first 15 seconds to make an impression on his client. Hence, in these 15 seconds if you can team up your presentation with the multimedia presentation, at least it would create a welcoming atmosphere and keep your audience glued to your presentation. Choosing the right business presentation software tool is essential for effective communication. A presentation can become the useful model for information dissemination when it’s made using software with engaging visuals and animations. Hence, it’s necessary to choose the right presentation software tools to influence prospective clients’ attention and engage them accordingly. 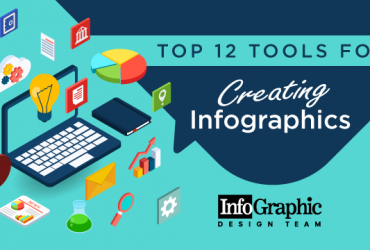 Besides the widely used Microsoft Powerpoint, there are several popular software tools online that can help you create an impressive presentation. Here’s a list of the best business presentation software 2018 where you can find the best business presentation templates to influence your prospective customers. WPS Presentation is ideal to use for your next presentation because it’s compatible with PPT and PPTX files. It’s free software and you can find an assortment of impressive templates, animations and range of transitions and effects. In addition to that WPS office has the facility for helping you embed numerous different file types- ( such as Flash SWF files and many other video formats). LibreOffice Impress is also a free presentation software that is known to impress the audience with its stunning visuals and graphics. This software is known to have features like import compatibility with Keynote files, export formats including SWF and also it provides full support for embedding fonts effortlessly in your presentations. LibreOffice Impress is an entirely free open source software. However specific features of the modern PowerPoint versions such as collaboration, internet broadcast and animated diagrams are not available in LibreOffice. Canva enables you to create smart and stylish presentations in your browser ideal to help you make a difference amongst competitors. Canva is a user-friendly software that offers its service mostly for free account holders when you get started. If you look for exclusive designs, you can become a premium account holder and enjoy more options. Prezi takes your presentation to the next level. This is next generation software using it you can create presentation extremely differently. This software enables you to create an eye-catching animated presentation and make your presentations public by default. Presentations are spectacular ways to connect to audience. But to make it more engaging and compelling, use tools and software for your next slideshows. Presentations have three main purposes – to inform, to persuade and to build a good will with your clients. Therefore, you need to create attractive ones. The above pro tips will guide you and help you create enticing presentation and target a diversity of audience. Want to create an engaging and irresistible presentation? 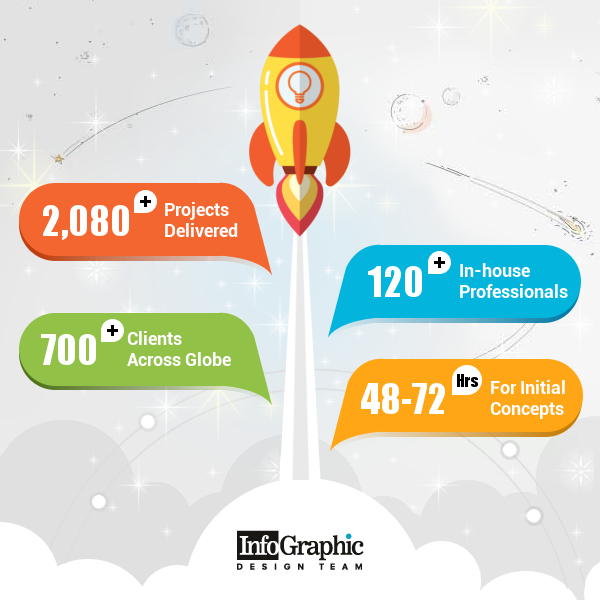 Infographic Design Team has a talented pool of designers who will assist you to create the best presentation with world-class design ideas.